How can you fix a broken key? There is a solution for any type of key breaking. However, the fix for a broken key might not be to put the broken pieces of a key back together. There are some solutions that are much simpler than binding a length of fractured metal. In fact, almost every way you can repair broken keys is better than trying to put the pieces together. Unless the part of the key that broke is not the blade at all, you just need to know why the key is broken. And it is also important to understand how different it can be to fix broken car keys versus standard broken house keys. How a key breaks is very important in determining, can you fix a broken key? The issue being encountered must leave the key broken in a way that allows for successful mending. Here are some of the ways that different keys can break. With the information on some of the most likely causes of broken keys, you can find out, can you fix a broken key like the one you have? When it comes to finding options for repair, there are different concerns for common house keys and car keys. Often, it is more difficult to fix broken car keys than it is to fix common house keys. It is important to differentiate between how to fix broken car keys and more general information on how to fix broken keys. How It Happens – Most keys are made out of nickel silver, which is stronger than older brass keys. But even with keys stronger than they once were, they are still able to break under pressure. A key is likely to break when it is very old and has gone through many rotations in a lock. Each rotation weakens the key and the lock because you are placing torque on metal and having it slide past another metal. This is just the natural life cycle of a key and lock. Even with key repair, keys do not last forever. Newer keys can still be stressed to the point of breaking if they are improperly used. When a key is not inserted properly and then turned, the lock will not open, but most people will still try turning the key. This is very common if you are not in your right state of mind, which can be due to many types of stress. But it is also one of the reasons that drinking increases the chance of needing a locksmith. If you make sure that the key is properly inserted into the correct lock before trying to turn it, you will extend the lifespan of any key. Fix Broken House Key – A lot of people want to repair broken keys that snap in half. The hope is that after you remove the broken key from the lock, there will be a way to put the two pieces back together. This is not impossible, strictly speaking, but it is not the correct way to fix a broken key. There is no way to fix a key that has broken in half so that it functions perfectly and is also not in danger of breaking again in that same spot after a few uses. What you want to do instead is take the broken key to a locksmith or your hardware store. With both halves of the key, they will fix the issue by making a new key. In the case of house keys, it will be easier to have them cut as long as the key is not patented. If you have any type of key control provided by trusted lock manufacturers such as, Mul-T-Lock, Assa Abloy, Evva, etc., you will need a locksmith that is a licensed distributor for that specific company. Replacement is the best way you can fix a broken key that has snapped into pieces. Fix Broken Car Key – To fix broken car keys that have snapped into pieces inside a lock, you are looking at a similar process as the one mentioned in the house key section above. You will not be binding the existing pieces together. The best type of car key repair for this situation is to undergo a full car key replacement. This is likely to involve transponder key programming services along with the basics of a standard broken key replacement. Chances are this is not the fix that you were hoping for to fix broken car keys, but it is the best fix available. Trying to repair a car key by putting the broken parts of the blade back together is significantly more dangerous in a car than it is with a house. Your car key will need to be inserted into your ignition. And if your key breaks while you are driving, this could create incredibly dangerous circumstances such as your steering wheeling locking in place, or the engine shutting off. How It Happens – The bow of a key is the part of the length of metal that stays out of the keyway so that it can be turned in the lock. Sometimes the bow of a key is covered with a plastic material so that the metal is not exposed. This is mainly a concern for fixing broken car keys. House keys will often not use any type of cover over the bow. Modern car keys, on the other hand, need covers to secure transponder chips. The bow covers on car keys break rather frequently. The hard plastic shells are likely to crack and then finally snap and break. The softer rubberized plastic key covers snap or tear. The hard plastic covers break due to pressure. Sitting on them wrong can cause another length of metal on a keychain to create additional force. Even the key ring itself can break a hard bow cover by twisting against one another naturally. Dropping your keys can also break the harder plastic covers. The softer covers tear open to compromise the key. This can happen by removing the key too often from a ring (stripping the soft plastic or stretching it). If the soft plastic get’s too warm, this will increase the chances of it ripping. Once the bow cover is compromised, you are in severe danger of losing your keys. Fix Broken House Key – It is unlikely for your house key to have a bow cover, and if the bow cover does break, this is unlikely to affect the key. The hole in house keys will undoubtedly be punched into metal. If this metal does break, you may fit the broken bow with a bow cover that keeps the key from slipping off through the opening. Fix Broken Car Key – To fix broken car keys that have a broken hard shell, you can cannibalize the shell of an old key or a new key blank and just swap out the transponder chip. You will either need to cut the blade of the car key or choose an old key that still works on the car. The hard shells can be opened and closed again, unlike the soft plastic bow covers, so you can pop the broken one open and take the internals out. Then open the replacement shell and swap out the internals. The process will look something like this. For soft plastic broken bow covers, you can drill new holes into the cover. You can either drill one hole, and let this serve as the way your key will secure to your keychain, or use two holes and a metal insert. In either case, you will be drilling holes in order to fix broken car keys. During this type of car key repair, be aware of where your transponder key is so that you do not end up drilling through that. If you damage your transponder chip, you will need to replace your car key. To get around drilling, you can use products like the Black Bull adhesive kit. Use masking tape to make a basin along the broken part of the bow cover. Use the glue and powder, one after the other, to build up a bridge between the torn gap. Take the tape off when the glue has hardened enough, and continue to build up the connection. You can sand off the excess material and paint the glue if desired. Fix broken car keys this way to reduce the chances of damaging the key more. How It Happens – This is mainly a concern to fix broken car keys. Batteries in remotes and key fobs are just like any other type of battery. They all run out eventually. Car keys happen to use very little power, so they do not run out often. But by not running out frequently, it can really catch people off guard when the battery does run out. This is more alarming still if you have a keyless start remote. In this case, your battery failing will mean that your car will not start even if you can unlock the doors with a physical key on the fob. Your battery is going to run out eventually. When you aren’t using your keys, the battery is draining. When you use your keys, your battery is also draining. The solution is to use your fob as required and anticipate the need to eventually replace the batteries. In the case of smart locks, where your key is your smartphone you can recharge your key to keep the battery from dying. However, there could be a set of dead batteries inside the smart lock that is making it seem as though there is any issue with your key. In the case of smart locks, use of keys and locks should be kept to a minimum so that you are not in danger of running out the battery life. Keep your phone charged if you are using it as your house key. Fix Broken House Key – If your house key is broken because it has run out of batteries, the fix is likely very simple. Most likely the key is a smartphone. All you will need is an outlet and a charger. These are widely available to both purchase and borrow. Most homes will also have an outlet (or outlets) outside of the home. All you will need is to charge your phone to the point where you can control the lock. You might be able to do this without unplugging the phone if the outlet is near the lock or if the smart lock uses WiFi. Fix Broken Car Key – When you run out of battery, fix your broken car key by replacing the dead battery. 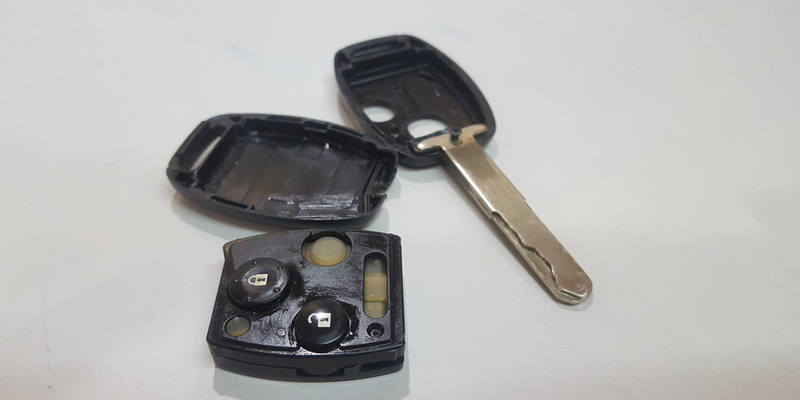 The only difficulty to fix broken car keys this way is that you will need a new battery. As your car key is not working, you are likely unable to travel anywhere to get a replacement key fob battery. It is also not very likely that you will have replacement batteries unless you have made a point to purchase them in advanced. The batteries used in key fobs are of the non-standard disk variety. The exact type you will need will likely depend on the make and model of your car key. Open up your remote and take note of this battery type. When you take the lengths to get replacement batteries, get a spare and keep them in your wallet. If you ever have to use your emergency batteries be sure that you get another spare, as the spare you have been caring will have had its charge reduced by simply sitting around without use. How It Happens – Water damage is mainly a concern for car keys, as they use electronic components. The most common source of water damage for keys is when you are forced to take your keys with you on some sort of outdoor expedition. Whether this is a trip to a beach, river rafting, a water park, etc., a key that is submerged under water will likely have its electronic components damaged. Protecting against this comes down to waterproof storage. This can mean taking keys with you and placing them in special containers, or leaving keys in a vehicle and taking a physical key that will not be water damaged but will open the car door. If you take your key anywhere with water, do your best to keep the keys as far away as possible. You may need to look up things like beach bag security for tips to protect your keys. Fix Broken House Key – Almost any type of house key will not be damaged by exposure to water. The only house keys that this will concern are the same type mentioned in the dead battery section above. In the case of smartphone keys, most smartphones are now incredibly water resistant. Older phones can be covered in loose rice or silica packets. These will attempt to remove the moisture from the internals of the phone. It is important not to use heat to try and evaporate the liquid. If this does not fix the issue, you will likely have to replace the key (your phone). But in the meantime, you might be able to log onto your account on another device. This is a good temporary fix, though you should sign out before giving the phone back to the person you borrowed it from, or else you are giving away your keys. Fix Broken Car Key – There is a chance that you can fix broken car keys that have been submerged in water the same way you would fix a phone. This comes down to not trying to use it before leaving it overnight in rice or among silica packets. If this does not get your key working again, you will need to replace your car key fob or another electronic car key. It is important that during the replacement process you understand how dangerous aftermarket keys are. You cannot always fix broken car keys, so it is important to know what the final fix entails. And the final fix to the issue of broken car keys is to replace what is not working. To find out everything you need to know, reach out to your local auto locksmith. When you know why your key is broken, and what type of key you are trying to fix, you can get at the root of your solution. Whether you are trying to fix broken car keys or repair keys of any other sort, there is a way around your problem. Chances are it is not the easy solution that you are looking for, but that is not the same as not being a solution. A fix for your broken key only needs to get you a key that works at the moment and will work in the future. For that reason, almost no matter why you are asking if you can you fix a broken key, the answer is, yes. There are more issues than mentioned above that you could be experiencing, but what has been mentioned are most likely to be the issues the average person will face. 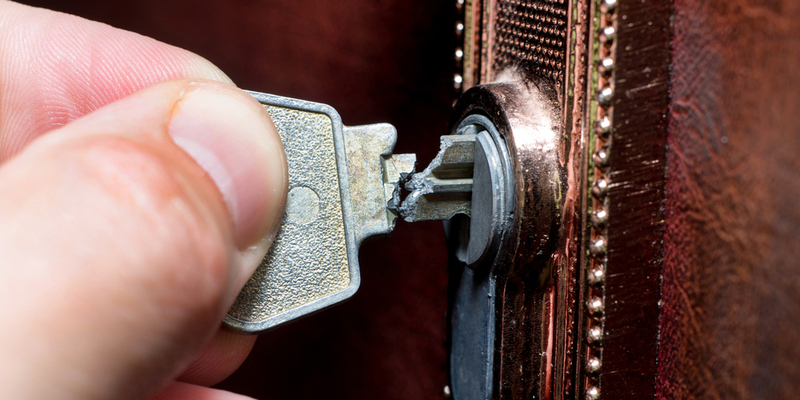 For more specific problems, call a locksmith or leave a question in the comments below.